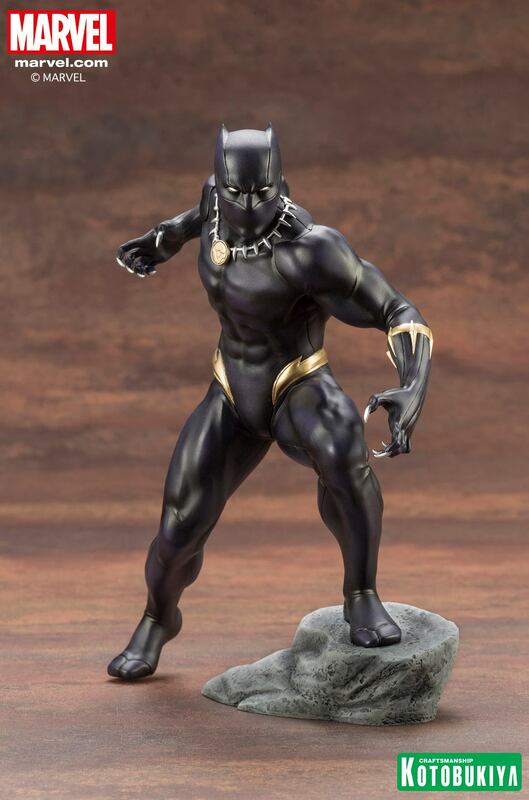 It is shocking to think about, but Black Panther is probably the biggest comic book character in the world right now. 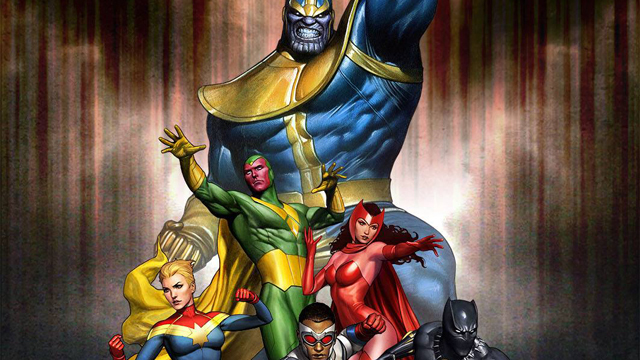 His standalone film has quickly become the highest grossing comic book film, and one of the biggest films ever. 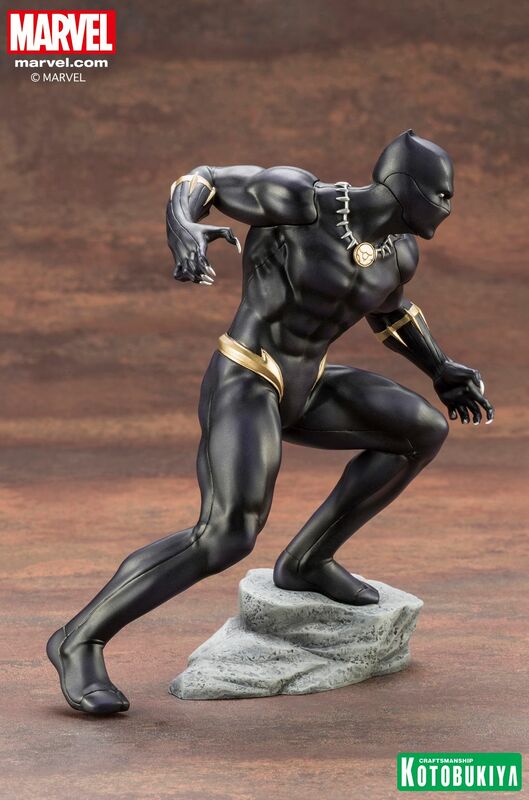 This statue from Kotobukiya captures the King of Wakanda’s look in the Marvel Universe comic books. 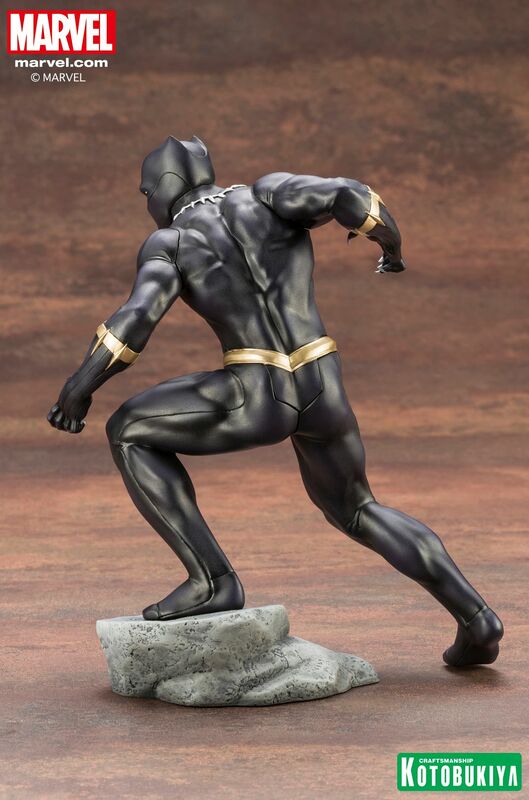 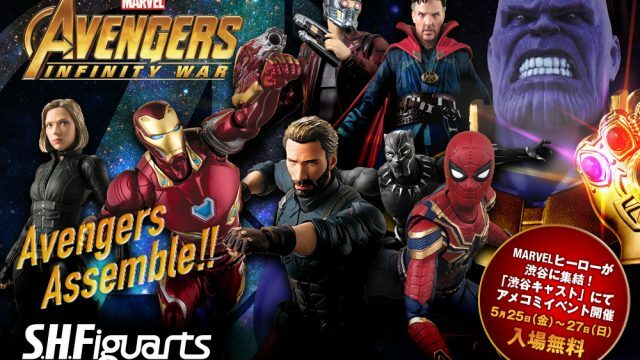 The Black Panther 1:10 Scale ArtFX+ Statue ships from Entertainment Earth in November. 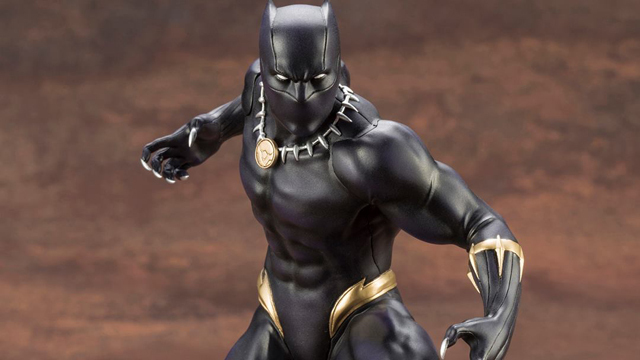 From Kotobukiya’s Marvel Comics ARTFX+ series comes the Marvel Universe Black Panther 1:10 Scale ArtFX+ Statue! 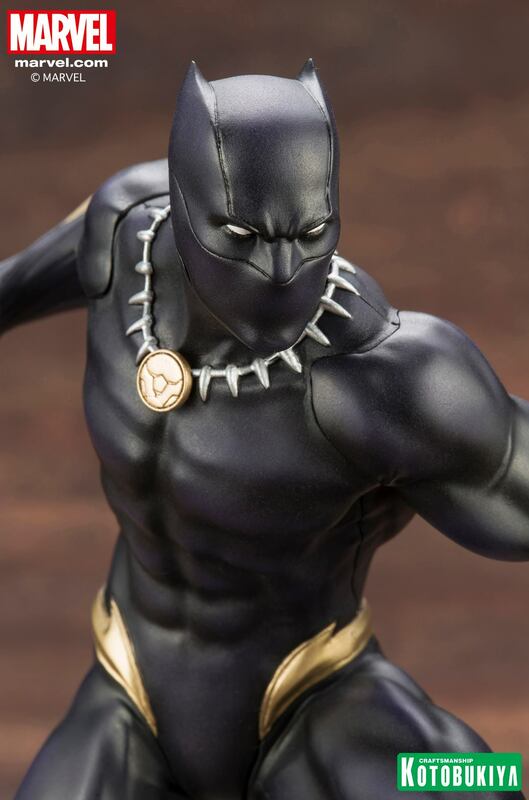 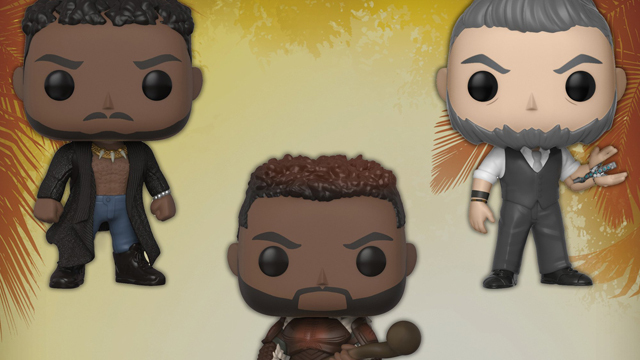 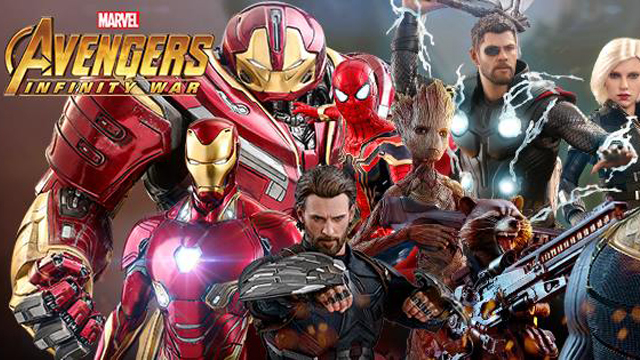 Standing at a little over 6 1/2-inches tall, this is the 1st entry in a new Avengers series, the king and protector of Wakanda is expertly recreated in Adi Granov’s original style thanks to Kotobukiya’s superior craftsmanship. 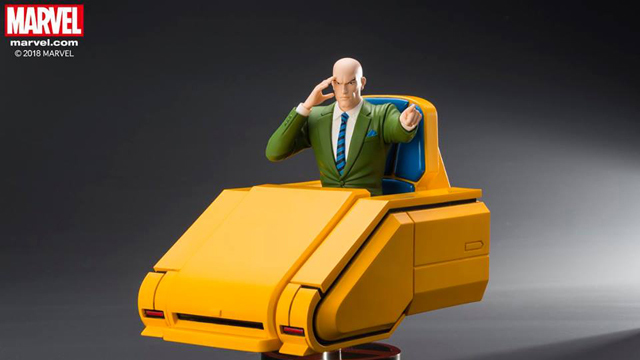 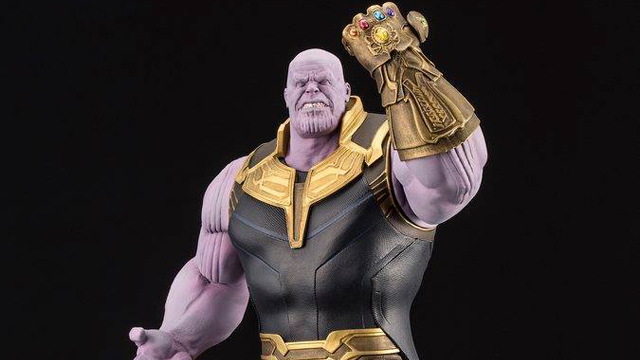 With one foot perched on a raised stone, the height and slant of the base gives the statue a unique vertical silhouette and will give the entire group of heroes a dynamic appearance when the collection is complete.